Beyond Law is Australia's premier website dedicated to providing law students, law graduates and young lawyers the information and resources to assist them in pursuing careers and opportunities during and after law school. As Australia's fastest-growing job-search site, Beyond Law is the essential website for informative and ahead-of-the-curve legal job news, resources and career advice, filling the gap between universities, law student societies and the legal workforce. The website serves those looking for new legal work, seeking a change in career, starting out or just searching for solid employment advice in the legal market. Beyond Law was founded to pair law students, graduates and young lawyers with organisations sharing a passion for law and social justice, to provide resources to help job-seekers in the legal industry, and to help organisations find the best legal minds they possibly can. Now as the #1 job-search site for law students, graduates and young lawyers, Beyond Law strives to promote the plethora of diverse national and international opportunities available to those with a law degree. Our vision is to promote the best opportunities to those with a law degree, and to provide targeted and engaged legal talent to employers. Australia has 41 law schools with 34,000 students studying law nationally. The number of law students in Australia has doubled in the past decade. There are more than 12,000 graduates finishing a tertiary level legal qualification. Over 7000 law graduates qualified for admission in 2014. Only 5-7% of all law graduates are recruited by large law firms. The job market comprises of 100,000 practising lawyers of which 60,000 are solicitors. Contact us for media interviews. Who is behind Beyond Law? Beyond Law is Anthony's latest venture, with experience working in the private, public and non-profit legal sector. Outside Beyond Law, he works as the Head of Marketing and a lawyer at LegalVision. 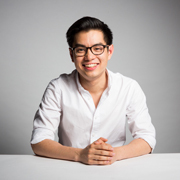 He was named Winner of the 2016 Anthill 30under30 and was shortlisted as a finalist for Business Development Professional of the Year at the Australian Law Awards, finalist for Emerging Leader at the 2017 Australian Leadership Excellence Awards and finalist for Young Business Leader of the Year at the 2017 Optus My Business Awards. Following his tenure on the Australian Law Students' Association, Anthony recognised that the oversupply of law graduates in Australia, coupled with the tight job market, was a prevalent issue. He founded Beyond Law to address the information gap that stood between law students, law schools and the workforce. In his spare time, he enjoys snowboarding, scuba-diving and cooking roasts – obviously not all at the same time. Get in touch with Anthony here. 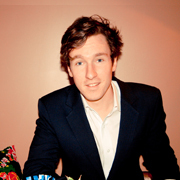 Max joined Anthony in late 2013 to build Beyond Law, after they had worked together at the Australian Law Students’ Association. With experience in management consulting, government, recruitment, and the legal sector, Max’s goal is to help build Beyond Law into a platform for law students, graduates and young lawyers alike that will show just how powerful their degrees really are. As a consultant at a top-tier management consulting firm, Max now provides strategic advice and leadership.